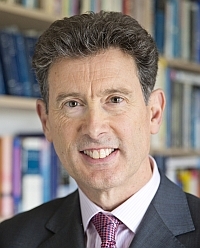 James Scouller is an executive coach and partner of The Scouller Partnership, a UK-based executive coaching practice. All of his work is with leaders. The Three Levels of Leadership is his first book. Before becoming a professional coach, he spent nearly 30 years in industry, mostly in manufacturing. For over a decade of that, he was chief executive of three international companies, so he understands first-hand the pressures leaders face. Accredited by APECS (Association for Professional Executive Coaching and Supervision) and the AC (Association for Coaching), he holds two postgraduate coaching qualifications. He also trained for four years in applied psychology at the Institute of Psychosynthesis in London. James, why did you write The Three Levels of Leadership? “The simple answer is because no one else had. I wouldn’t have bothered if other leadership books had already covered this ground. But they hadn’t. Can we define leadership in a way that’s useful to leaders? And by that, I mean a leadership definition that helps people understand what they have to do. I say that because many leaders don’t know the four dimensions of their role and it often means they neglect one or more of them. What’s the purpose of a leader? Again – and this may surprise you – I saw that a fuzzy, unhelpful view of the leader’s purpose was making life more difficult for leaders. Can we take the many (and, frankly, confusing) leadership theories, philosophies and styles – situational leadership, transformational leadership, authentic leadership, values-based-leadership and so on – and combine them in one simple, practical leadership model for the 21st century? And while we’re at it, can we fold in the moral dimension of servant leadership? What do leaders need to know about their minds if they are to achieve self-mastery, develop their emotional intelligence (EQ) and grow their leadership presence? What is leadership presence anyway? Above all, how can each of us become the best leader we can be? Was the style of the book important to you? "First, because from personal experience I know it's not easy leading others as there's nothing like a leadership role for exposing your greatest fears about yourself. Second, because leadership makes a difference to the world's progress. so we need good leaders. Third, because no one starts in a leadership role as the finished article, so everyone can grow as a leader, to the benefit of those they serve. And fourth, because being an outstanding leader involves more than just behavioural skill. It also demands flexibility, resilience and "presence" – that "something" which moves people, inspires trust and makes others want you as their leader. That's where I come in. I can help leaders master their minds, allowing them to grow their behavioural flexibility, skill and resilience while letting their unique leadership presence unfold." “Well, I live in Bedfordshire, about 40 miles north of London, but I have clients in different regions of the UK and in other European countries. I’ve also worked with clients based in the USA, Singapore and Dubai." "I've practised Aikido for over 30 years, becoming a fourth dan black belt in 2015. These days, I don't get to the dojo as much as I used to, but I still try to practise Aikido once a week. I love the flow and sheer fun of Aikido - even when there are two people trying to attack you!" If you want to contact James Scouller about anything to do with The Three Levels of Leadership, click this Contact link (or click the Contact link at the bottom right of this page) and write a message, your name and email address. James Scouller’s executive coaching practice, The Scouller Partnership, offers coaching for leaders. If you want to know more about The Scouller Partnership or talk to James Scouller about coaching, you can click this link: www.thescoullerpartnership.co.uk, which will show you his email address and phone number. If you want to see how he measures the before-and-after results of his work with clients, click this link: Executive Coaching That Makes a Difference. If you want to follow James Scouller on Twitter, connect with him on LinkedIn, watch one of his YouTube videos or subscribe to his YouTube channel, just click the buttons at the bottom of this page on the left hand side. You will see them in the grey zone below the red line. 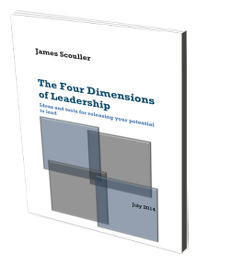 If you'd like to know the latest news about The Three Levels of Leadership or James Scouller's upcoming speaking events, click the News link.